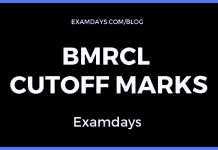 JVVNL Helper 2 Expected Cutoff Marks 2019: Rajasthan Jaipur Vidyut Vitran Nigam Limited scheduled to release the Helper II results in the month of March 2019. Those who are given examination from 26th Dec 2018 to 3rd Jan 2019 for 2412 vacancies are eligible to check the JVVNL Helper 2 Results 2019. JVVNL recruitment team released Revised Answer Key for JVVNL Helper 2 posts, Initial the JVVNL Helper 2 Answer Key released in 21.02.2019 and as per candidates request and objections, the final and revised key released on 10.03.2019. Jaipur Vidyut Vitran Nigam recruitment scheduled to finalize the Helper results in March 2019. JVVNL Helper 2 Results 2019. This time 2412 posts vacancies are filled by JVVNl recruitment team. Those who are waiting for the final results can check the in March 3rd week or 4th week 2019. 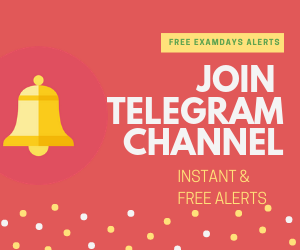 JVVNL Helper 2 Exam Date 2019: 26.12.2018 to 03.01.2019. The expected JVVNL Helper 2 cutoff marks are listed below as per the reservation wise, those who are exceeding or limiting in secured marks are checking in the JVVNl Helper 2 revised answer key 2019, these cutoff marks are varied as per the reservation. If candidates have any questions on JVVNL Helper 2 cutoff marks for selection criteria, use below comment box to discuss with other Helper II candidates.